Ford Raptor is pretty lonely. Neither GM or Dodge have a proper answer to it, and it would be ridiculous to expect one from Toyota or Nissan. But, human cravings are infinite, and we already covered the fact that for some people enough is never enough. We tried to deal with the fact when somebody wants more than what Ford Raptor offers and whether the answer could be in the form of MegaRaptor. And and it seems we are here again for the same reason. If that was your mantra, then you must have been hurt when new Raptor debuted with brand new twin-turbo V6. Two cylinders less haven’t managed to cripple it in boosting more power than before, but it might cripple its image, despite the fact that there is still nothing like it on the market. Feel sad no more, as V8 is back. SHELBY, WHO ELSE. If you wonder how, the answer is Shelby. 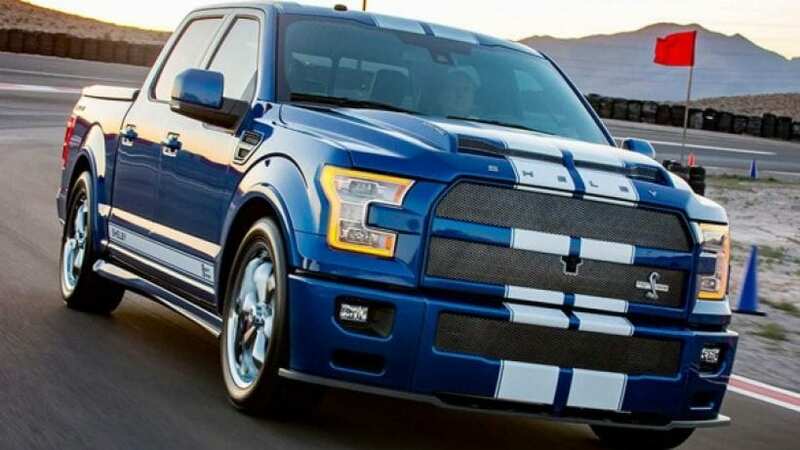 2017 Ford Shelby F-150 Super Snake house under its mighty bonnet 5.0-liter V8. That’s not just any V8. This one is supercharged. Pushed to 750 horsepower. That is 300 hp more than you can find in Raptor. Hell, that’s even more than Hellcat’s power from a fairly bigger V8. And to make sure that everybody hears it properly Shelby tuned the double Borla exhaust. 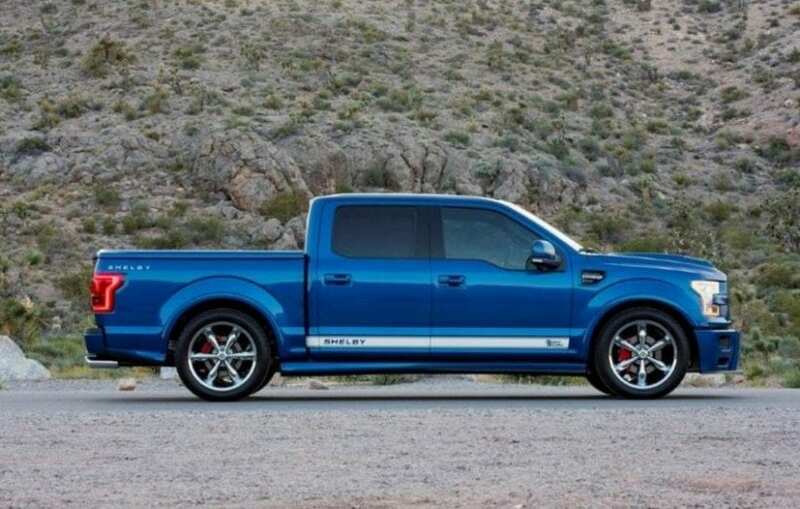 There is one more thing to make everybody clear about the fact that this is far from any ordinary F-150. Fascia is ready to swallow you with big gaping intakes covered in tight meshing, which might as well come as mandatory since insane V8 need lots of air to breathe. Double racing stripes, wide fenders, huge hood bump, 22-inch chromed wheels, side skirts, double stainless steel exhaust tips and evil snake logo, all perfectly supplement under the hood happenings, while interior tries to follow the similar story. 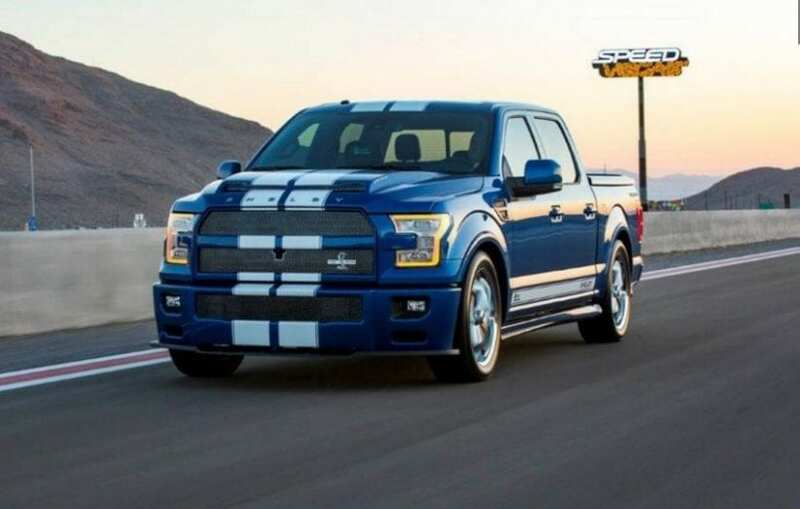 2017 Ford Shelby F-150 Super Snake OR RAPTOR? It’s not that kind of story actually. The Raptor is an ultimate off road tool, Super Snake is the top drag racing utility. It has lowered suspension, which is specially tuned for better handling and it is hardly going to stray off the road, as much as there is hardly anything to beat it on the drag strip as long as it carries an open bed at the back. 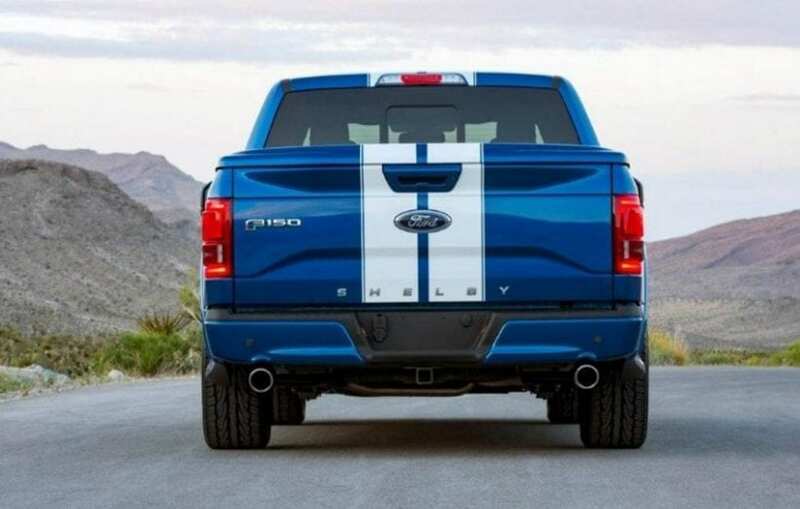 If this whole story about 2017 Ford Shelby F-150 Super Snake made you excited enough, then do know that only 150 of them will hit the streets. Also be aware that the price is barely shy of $100k, to be precise just three grand below the magic line. You may as well exclaim now that you can get two Raptors for that price. But remember that we already determined that those two don’t overlap at all. Super Snake is about exclusivity and leaving the statements. What kind of statements? Those on people’s faces when they spot it on the street, some for their ears and most importantly, proper statements, among your buddies with tuned trucks regularly tested on the back alley’s drag strips.